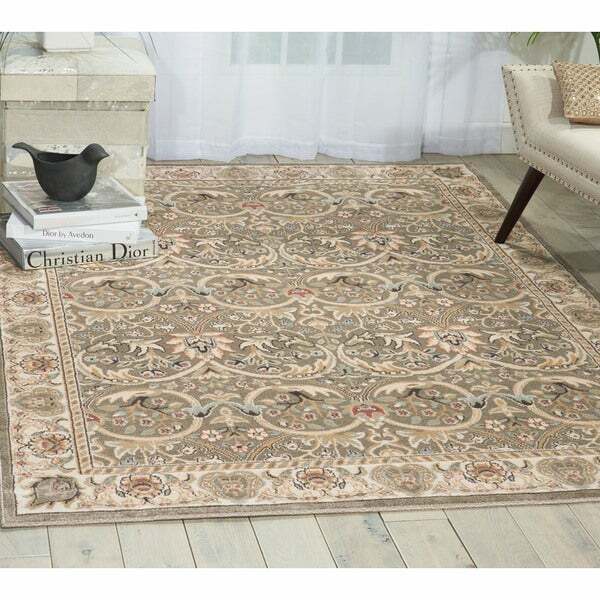 Nourison Walden Ivory Area Rug - 3'9" x 5'9"
What I Love about this rug is the pattern placement doesn’t matter… Needed this for master bedroom halfway under the bed. The colors are absolutely beautiful soft and muted in Olive Greige tones with silky Tones of creams,sage, rust & berry. Very soft under feet.